Moira Illeniel was the name she lived by, but her true heritage was more complicated than that. From birth she was the secretly adopted daughter of the most powerful wizard in the world, but few knew that her true birthright came from the Centyr lineage. Traveling to Dunbar to discover the fate of her vanished father, Moira must face the darker aspects of her power. Forced to fight a foe unlike anything seen before in Lothion, she will learn the reason for the warnings her mother's shade gave her - why certain abilities should never be used and some lines never crossed - for some doors, once opened, might never be closed again. A very good continuation of the Mageborn saga. While much of the first half of the story revolves around the three young adult scions of the royal families and the older hunter/tracker in search of Mordecai, in one sense, it's more about the transitioning of the young adults from their sheltered and naive youth to that of clear-headed and cold awareness of the world around them. This is most profoundly thrust upon Moira as she finds herself becoming aware of heretofore unknown powers. Powers so horrible that, when exercised, strips her innocence and makes her so wrought with guilt that her personality borders on psychopathy. There are several grievous moments where, in the aftermath, the protagonists are left second guessing their decisions to the point of being debilitating. While not clearly outlined, the author subtly touches on the concept of fate, destiny or self-determination and while he provides no clear answers, he does burnish the sharp edges of the consequences. 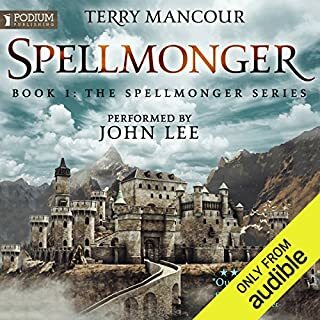 While there are a few weak areas in the story such as the dragons where they mostly play the role of transportation, with sometimes breaking/burning things, the hunter/tracker's Asperger Syndrome being over used, &c but, even so, the book was enjoyable, made the more so by the excellent talents of the narrator. I have been listening to these stories from the bitter start. I find myself itching for more when I came to the end of one book. Wishing that I didn't have to wait for the next book to either be set out on paperback. Or to be listened to from Audible. it was good and the narrator did a fine job. It delves into the Centyr power, which is interesting. the story is just a little too focused on one aspect and it's not very flavorful. they keep getting better. this book with the strong family ties and touching moments couples with the action dragons and magic are the reason I don't sleep. let's not forget chad! he is hilarious and brutal such great character development! Metal monsters? Seriously?? I hate technology/scifi mixed in with fantasy. Fantasy should be medieval with magic. I may read some of the books earlier in this series but I'll be returning this book and going no further in the series. First off I love these books. The characters are well developed and I find myself not just listening in the car, but taking them with me everywhere I can. In the first book of Champions, the change in narrator was noticeable but not overly disturbing because it was primarily from Gram’s viewpoint. I found myself slightly unhappy at certain pronunciations of names (Cyan, which he corrected in book 2) and voices used for characters such as Mordecai and Penny. In this second book I found it quite bothersome. It’s not that Derek Perkins is a bad narrator, on the contrary he is very skilled and I will look for other books he has done. The issue for me is that I went straight from Final Redemption to this series so the narration change was quite frustrating for me, after 6 books with Todd McClaren. 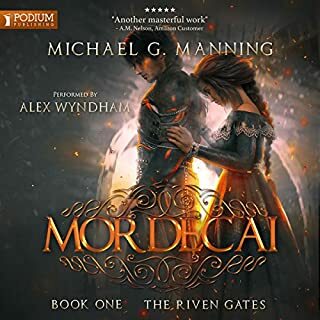 I then went to the new book Mordecai and was bothered even more by that narrator, but again it’s not because of lack of skill on the part of Alex Wyndham. I also determined quite early that I needed to read the three Champions books before this one. I think it’s important for authors and publishers to know that the voice of the characters is important to those of us that listen to audio books. It’s not like when reading that we develop our own voice, but become dependent on the narrator. I don’t begin to understand why Todd McClaren did not continue to voice these characters, but I wanted the author and publisher to know that changing narrators should be avoided if at all possible, at least in my opinion, especially if the narration is good. Bad narrators can destroy even the best of books. I now will need to take a break before continuing these books, despite how much I want to find out what has happened to Matt, to allow some time for my brain to hopefully forget a bit of the original performance. 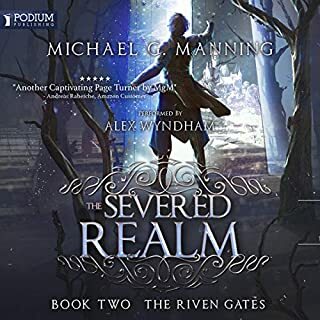 But for anyone not already absorbed by this entire series I highly recommend them all and thank Mr. Manning for sharing these characters and his brilliantly crafted world of magic. Loved it ! Great story !! Can't wait for the next one. Fantasticly good reader. Spoilers ahead. I’m convince someone else wrote Embers of a Illeniels (EoI)or he was assisted. I’ve read EoL And fell in love with the characters, story,and the pace. So I was thrilled when I found out that this author also published other series with in the same world. I’m halfway through this book and although it is entertaining it’s nowhere near the level of EoL. The number one thing I cannot stand about this series so far is the love story between Graham and Alyssa. It feels forced. Their relationship doesn’t really develop he meets her he falls in love with her she betrays him he forgives her.But as a reader I can’t understand why he would forgive her because the relationship never developed to the point that someone reasonable could forgive that level of betrayal. I was expecting a lot as I had really enjoyed the first book, but this one was kinda boring and the heroine was just so overburdened that it just got boring in places. I'm trying to decide if the third book will be ok or not. great listen! really enjoyed it! 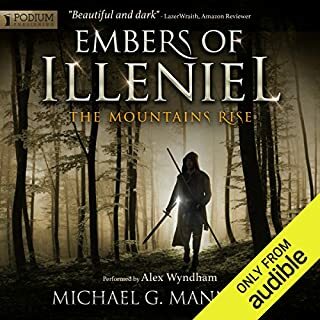 it was really well read one of the better narators on audible !The story had me interested straight away for this part abd the last great audio book! 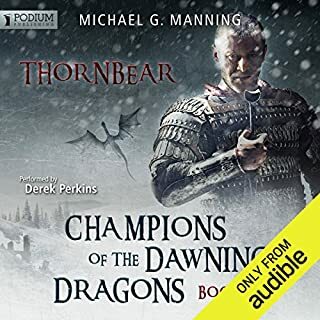 The fast speed option on the Audible app is very handy for getting through all the battle descriptions, (in any audiobook, not just this one) they are SO tedious, I find myself drifting off, zoning out, just not gripped at all until there's some dialogue again. I really do not care about which hand a sword is held in, or where an opponent was stabbed, I want to know what happens to the characters and where the story goes to next. 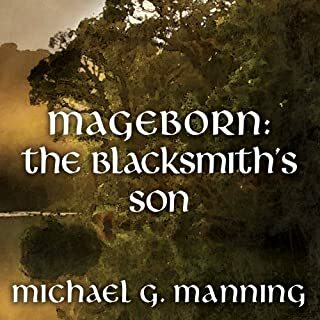 I still enjoyed this because the author and the narrator are very good at the various characters, and I want to know what happens. I wait for the next in series. Continuing from the previous book this 2nd part starts well. However, they are too many battles and the author describes every detail and it was boring for me. I had to skip many times to continue with the story. It's a big difference from the 1st one regarding the story line. I was quite disappointed because I like the narrator. Although I have to say at the end in the prologue it looks interesting again so maybe he 3rd part will be good again. Just love this series and world created. Only problem is I now have to wait for the next one. I typically enjoy this author and his characters but I really could not warm to or empathise with the main character of Moira. I may not continue with the 3rd book because of this, who knows? I enjoyed the book but there were some glaring continuity issues. I eont spoil it by pointing them out but they are there. very good addition to the very expansive set of books. it fills in a few missing plots from the previous books. Now onto book 3. 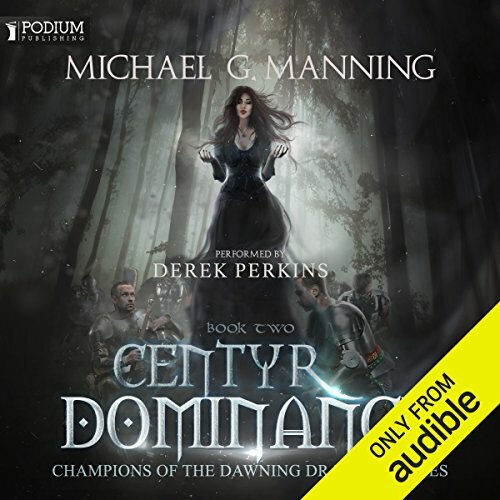 I hope that shows that this series is well written by Michael G Manning, complemented by superb narration by Daniel Perkins.